The biggest power is hidden in SIMPLICITY. Polina, born in Germany, is an archaeologist by training, with a Doctorate in Classical Archaeology from the University of Heidelberg in Germany. She also studied History of Art, and is an accomplished painter. Polina started her eponymous handcrafted jewellery brand in 2010. Designed for both women and men, the collections include rings, necklaces, bracelets, earrings, cuff-links, pendants, and other custom pieces. What inspires Polina is the austere simplicity of the Doric style and the geometric motifs of ancient Greek art. “The simplicity of clean geometrical shapes inspires and intrigues me”, she explains. It evokes ancient pieces, yet encompasses both modern and futuristic elements, forming her unique and authentic signature. At the same time she views each piece of jewellery as a sculpture, a small structure born out of a concept. She starts with an idea which she researches from past to present and finally she creates pieces with everlasting edginess. Polina has a sublime fascination for raw colour of 18 karat white gold. This colour has a very earthy hue of ice-gold and is one of the most beautiful colours especially when brushed or textured. She loves the elegance of white gold which fits in her philosophy of hidden luxus. addore is glad to present Polina’s men line. 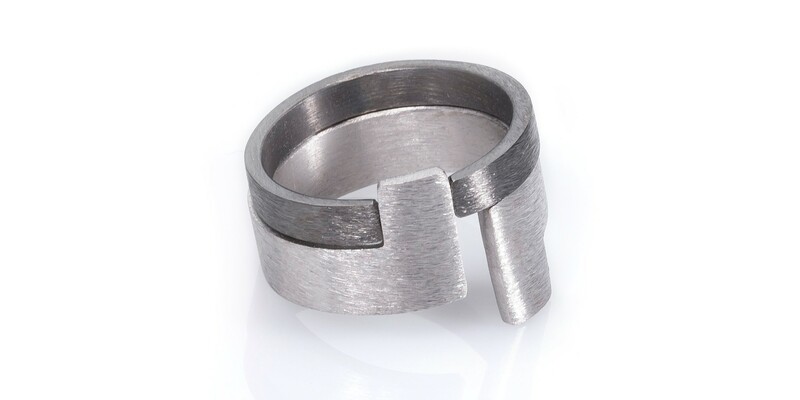 Finally we have discovered a men jewelry designer, which we find outstanding!